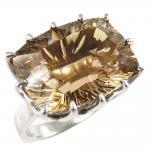 Very beautiful twinkling stone grace has its size in several facets. The smoked quartz is known to be a very powerful stone. We lend her effects against the stress. It would give self-confidence, would help to surmount difficult times, would reduce the fear and would bring a big emotional peace. We also say that she(it) facilitates the concentration and that she(it) would so make more lucid and responsible. Cette phrase est écrite à l'intérieur de l'écrin: Car vois-tu chaque jour, je t'aime d'avantage. Aujourd'hui plus qu'hier, et bien moins que demain. Crée en 1907par Alphonse AUGIS, la Médaille d'Amour est l'un des bijoux le plus vendu au monde. 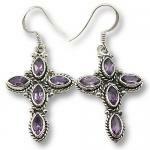 AMETHYST is associated with peace, stability and relaxation. It can be used in situations where judgment and awareness are required. Silver Acacia masonic ring 925 sterling silver ring set with 16 cubic zirconia stones. Total width 31 mm _ weight 3,20 gr. MAGICAL PENTAGRAM talisman silver plated . Dimensions: Diameter 28 mm _ weight 11 gr. Provided with its black cord. A luxury metal set for ballpoint and roller ball pen with a lacquered mosaic design presented in sumptuous a gift box including a Certificate of Authenticity. 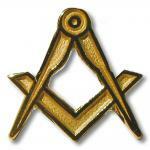 A discreet Square & Compass symbol and chain of union is engraved on the cap. Dimensions of the tall pendant: 42 X 9 mm _ weight 6.7 gr. Close to origami, the art of paper folding, kirigami is the art of paper cutting. This 3D card is delightfully delicate, and pops-up displaying an ingenuous paper sculpture representing a Square & Compass. Card comes with its envelope . This 3D card is delightfully delicate, and pops-up displaying an ingenuous paper sculpture representing a tracing board. Card comes with its envelope.